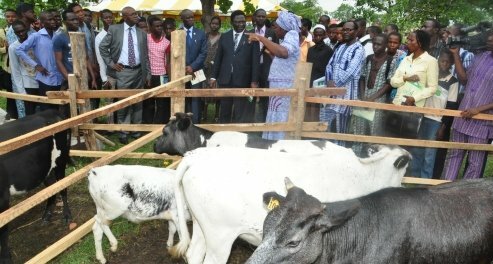 The University of Agriculture, Abeokuta, (UNAAB), in conjunction with Kwame Nkrumah University of Science and Technology (KNUST), Kumasi, Ghana, will hold a Development Partnerships in Higher Education, (DelPHE 5) Research Project Workshop from July 18 to 22, 2011, at the Biotechnology Centre, UNAAB. A release signed by the Principal Investigator, DelPHE 5 Research Project, Prof. A.R Popoola, informed that UNAAB is the lead partner, while the project is funded by Department for International Development (DfID) and managed by the British Council. The release further revealed that the Research Project is a theoretical and practical Training Workshop, focusing on Molecular Screening of Tomatoes for Resistance to Wilt Pathogens.